The Harvard Endowment Fund has invested between U$ 5 and 10 million in Blockstack. The big news is that the company has also registered a U$ 50 million SEC filing for a Regulated Token Offering. If successful, the RTO will employ the SEC’s Regulation A+ framework. This would become the first ever SEC-regulated cryptocurrency token emission – a gigantic step for crypto, which would place the blockchain squarely in Wall Street’s sights. The SEC filing process has, so far, been confidential and seeks to comply with all regulations otherwise established for a non-cryptocurrency-related security emission. The biggest challenge is matching the legal requirements for a non-crypto with those of a decentralized project. For instance, nationality, KYC and AML regulations must be fully complied with. Not all nationalities may invest in any given SEC-regulated offering, therefore potential investors need to be screened and verified prior to being allowed to buy tokens in the RTO. The STX token will be distributed via the StacksToken.com website as soon as the project is approved by the SEC. Every Blockstack filing is available via the EDGAR database. It must be noted that the STX token could still be offered in a non-regulated ICO should the SEC process fail. Although the Blockstack team seems confident in the RTO, it’s entirely possible to continue the funding process via a traditional cryptocurrency-style crowdfunding event and later on pursue formal recognition as a regulated security token. 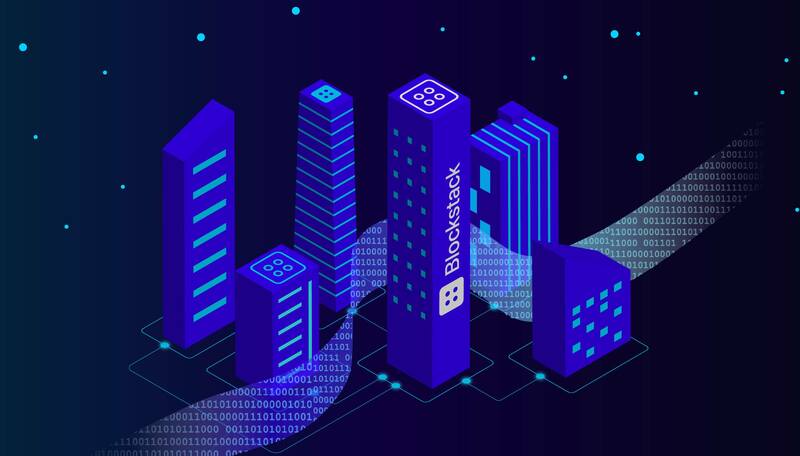 Blockstack is a decentralized network which runs on top of the public Internet. It establishes a blockchain driven global private network that can be accessed using the Blockstack browser. The whole project is open source and anyone can participate. Currently there are a few MVP’s built on top of Blockstack, such as an office application demonstrating a Google Docs-like domain, a decentralized document-signing dapp, a decentralized password manager and several other distributed applications already running on the network.